Assessment times are stated in net times. However, when the Danish Medicines Agency assesses an application, it will not keep to fixed time periods within the individual phases. The gross assessment time covers the entire period during which an application is being processed including weekends. The net assessment time refers to the number of days an application is being worked on by the Danish Medicines Agency. The net assessment time equals the gross assessment time less the time it takes the applicant or the export country (for parallel import applications) to respond to any questions posed by the Danish Medicines Agency. The procedure is described below (see 'Procedure phases') and apply to new marketing authorisation applications for medicinal products as well as variation applications submitted under the national procedure as referred to in Danish executive order No. 1239 of 12 December 2005 on marketing authorisation for medicinal products, as amended. The procedure covers applications for human as well as veterinary medicinal products. Parallel import applications are also covered. The procedure does not apply to renewal applications. New and variation applications follow the same procedure, yet with different time scales. Please also see our separate guidelines on applications for national variations. In regard to applications for a parallel import authorisation or an IA variation, the case is closed after the assessment phase with a decision. The procedure is illustrated graphically in the figures below. Click the links to open the figures. The net assessment times are also displayed in the table below. Unless otherwise indicated, the specified days are net calendar days. * The start-up period of 30 days for national type IB variations is not included in the maximum assessment time. The Danish Medicines Agency operates with different start-up periods depending on the type of variation applied for, according to the resources needed to assess the application. The start-up period is included in the statement of the maximum assessment time, with the exception of type IB variations. For type IB variations, the 60 days net assessment time applis from the procedure start date, that is after the start-up period. 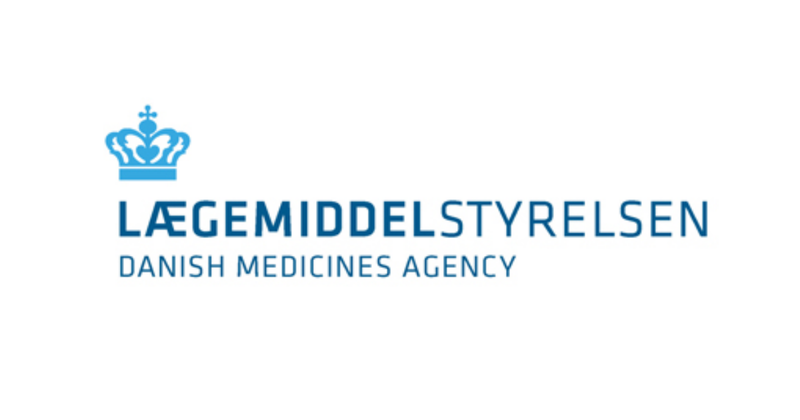 The Danish Medicines Agency receives, registers, examines and validates applications. The time is calculated from receipt of a complete and valid application until the procedure start date (day 0). In the table above, you can see the expected start-up time for the individual application type. The application is prepared and evaluated at the beginning of the assessment phase. The evaluation of the Danish Medicines Agency is summarised in an evaluation report. Applications may be approved already at the close of this phase, however, this is seen very rarely. If the application cannot be approved after the initial evaluation, the Danish Medicines Agency will give an intended refusal as well as forward a list of questions (LoQ) to the applicant. The applicant for a new national application has up to six months to respond to the LoQ. In special circumstances, the Danish Medicines Agency may extend the time allowed to up to 12 months on a case-by-case basis. In the case of variation applications, the applicant has up to two months to respond to the LoQ, and in the case of parallel import applications, the export country is given up to 24 weeks to respond. When the Danish Medicines Agency receives the applicant’s response to the intended refusal, the information submitted is assessed, and the Danish Medicines Agency then either approves or refuses the application. If no response is submitted within the stated time, the case is assessed based on the available documentation - which will usually result in a refusal. Compared to the procedure introduced in 2002, the number of phases has been cut from four to three for national applications. This has been done, because the last phase (the closing phase) never had the intended effect, which was to reduce the volume of outstanding issues to a few and simple unresolved issues. Furthermore, the changes are necessary for us to fulfil the performance contract. Until 2008, the time requirements were based on average times of the individual assessment phases. From 2009, and as mentioned earlier, maximum assessment times (net times) will apply to the entire assessment of the individual applications. No advice/”pre-approval” is given in connection with the answering of questions in the first assessment report. The Danish Medicines Agency does not carry out a scientific assessment of such inquiries as this would imply adding an additional assessment step to the process. However, the Danish Medicines Agency is prepared to elaborate and comment on questions raised in the first assessment report via telephone. In the closing phase, the case is not reopened until all material has been submitted. It is important to note that once we begin the processing of a case, it is not possible to submit any new documentation that introduces fundamental changes and extensions to the original application. One such example is the submission of a new Drug Master File. The Danish Medicines Agency has previously published order books for new national applications, national type IB variations and national type II variations. The order books for new national applications and national type IB variations no longer apply. The reason is that the applications meet the deadline in the start-up phase. The order book for national type II variations is still published as this type of variation still has a long start-up period. In addition, the table ”Procedure Start Date National variation” showing the status of all initiated national type IB and type II variations is still published. If there is a need for a scientific clarification of specific problem areas of particularly complex cases, a meeting with the company could be arranged. However, we are not able to schedule meetings to provide general guidance, but refer to various guidelines and the email address stated under section 7. The assessment times apply to all cases that are closed after 1 January 2014 for both new, variation and parallel import applications. Please address any questions to the new procedure to licensing@dkma.dk. We will respond to your questions as soon as possible.